My name’s Shellie and I’m a certified health coach. I’ll be guiding you through this restorative detox program based on the teachings of the doTERRA’s 30 Day Cleanse and Restore Program. Ladies, it’s time to leave the confusion, diet books, and deprivation behind! This program will guide you through eliminating the foods that may be sabotaging your health and happiness. 30 Day Detox Guide: a comprehensive manual showing you exactly how to detox in a safe and natural way based on the teachings of doTERRA. Recipes: packed with over 60 scrumptious recipes to support you. 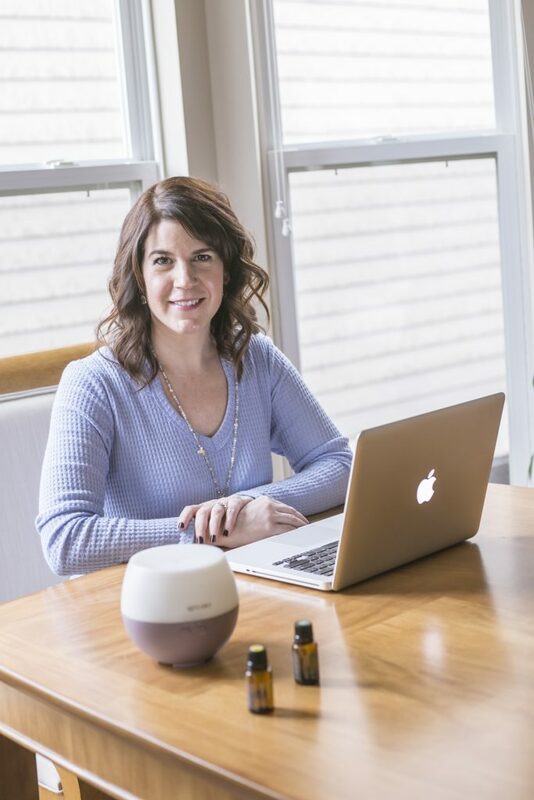 PLUS you get a BONUS 30-Minute Essential Oil Strategy Session with me when you sign up now! Truth be told; we live in an increasingly toxic world. No matter how clean we choose to eat, we are exposed to toxins in the very air that we breathe on a daily basis, and it is completely out of our control. I used to get my oils from Whole Foods and Amazon. They smelled nice and I had fun making up different concoctions, but they didn’t do what I wanted them to do. I started to become a disbeliever in essential oils. That was really hard for me because I’m a believer in everything natural. But everything changed when someone FINALLY convinced me to give doTERRA a try. At first, I didn’t want to buy into the hype, and I certainly didn’t want to spend the extra money. BUT, when the oils actually started to work, they were worth their weight in gold! When someone is sick or injured in my house, essential oils are my first line of defense. I rarely use over the counter or prescription medications anymore. The healing benefits of the oils have boosted my confidence, and I don’t feel the need to call the pediatrician as often. Of course we still use our pediatrician, I just don’t need to call them with every little bump, bruise or illness. We got this!! Instead of spending my money at the pharmacy, I spend it on natural, healing plant compounds. "I was at an essential oils meeting and heard that Lemon oil was a good supportive oil. I needed something to cleanse my body, so I decided right then and there that I was going to put a drop of Lemon essential oil in an 8-ounce glass of water every day and every time I drink water. Since April of this year I have been drinking six 8-ounce glasses of water with a drop of Lemon essential oil every day. I started to notice that I was not hungry for junk food, and certain foods no longer appealed to me. I was able to change the way that I was eating. Within two months I had gone down in clothing sizes. I went from a dress size of 12 to a size 10. My capri pants also went from a size 12 to a size 10. My blouses went from a size large to a size medium, and even now the mediums are fitting me a little big! When I went to visit family in another state, they noticed I had lost some weight. It feels so wonderful to be able to get into some of my clothes that I have not been able to wear in four years!" I have always had trouble sweating. Strenuous exercise, long walks, aerobics, yoga, hot baths always produced very little sweat. Guess what? I recently put about 4 to 6 drops of Lavender oil in a hot bath and approximately 15 minutes into the relaxation mode, sweat started to drip off of my forehead and roll down the sides of my face. I couldn't believe it...effortlessly and sweetly, I was detoxing and flushing out my system with a wonderful Lavender bath. If you're looking for a way to detox your system, Lavender might just be what you have been looking for. What a nice surprise! Just make sure you use a quality brand of oil. I became sick and had a constant dry cough. I was out of a lot of my essential oils, but I did have Lime oil. I began putting a few drops in my herbal tea with raw honey, 2 or 3 times a day. I also put 2 to 3 drops in my water at least 3 times a day. It did not help at all with the illness. After 2 weeks I had lost 14 pounds! I had not changed my diet, skipped meals, or even exercised because I hadn't felt up to it. It's over a month later, and the weight has not come back. I continue to drink water with some citrus oil in it daily. By the way, fruits with thick peels are thought of less dangerous when grown conventionally because the peel protects the edible part from toxic pesticides. The opposite is true in this case. The peel is in constant contact with sprays, so the concentrated essential oil would also be contaminated. Ensure that your essential oil company provides toxin and residue free oils. Are YOU ready ditch the toxins, refresh, and restore? Does this all sound fabulous but confusing? Let me help you sort it all out.